How to Reinvent Yourself When You Feel Stuck! Get a FREE Strategy session with me by going to Betsypake.com and scheduling. It's an hour of transformational coaching- no big pitch- simply time to address something important to you! 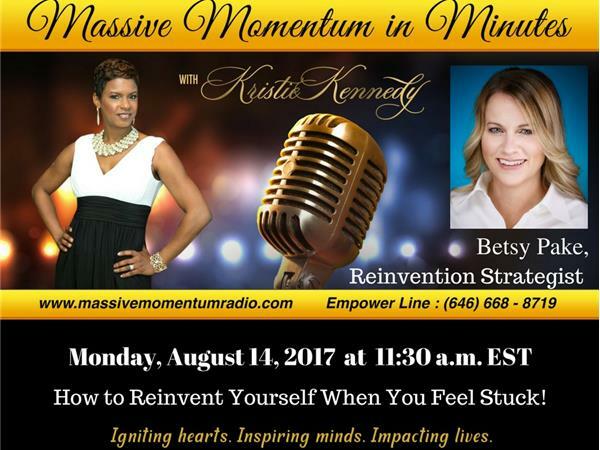 To speak with the host of Massive Momentum Kristie Kennedy email info@kristiekennedy.com or www.kristiekennedy.com.